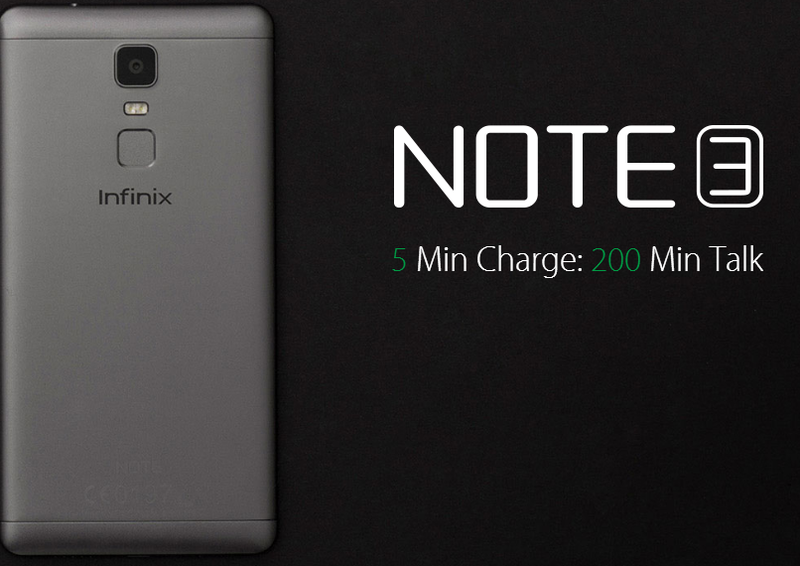 Infinix Note 3 is one of kind with it new fast charging feature which was realized by the inclusion of duo 4.5A charging engines with PE+2.0 technology promoting a fast and safe charging process. 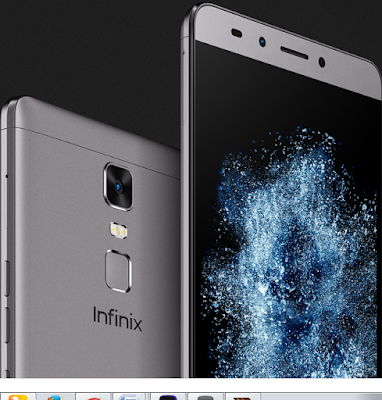 Infinix NOTE 3 also comes with a new amazing feature called Aerospace Cooling Technology. Infinix Note 3 comes with an awesome 5.7 inch FHD, A large six inch 1080p screen provides a high resolution 367ppi viewing experience, compared to 245ppi with NOTE2. Experience a more powerful viewing impact with more detail and a larger viewing angle. This display is clear and sharp and will compete with other similar Android package in the market of same category; “budget-type”. The Infinix Note 3 has the XOS 2.3 UI on the screen, customized Android 7.0 operating system. The smartphone also impresses with its battery package; comes with the “5 minutes charge = 200 minute talk” feature, this hasten the charge process. 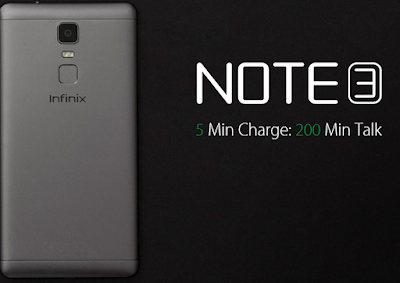 Infinix Note is powered by a MediaTek 6753 chipset with an octa-core 64 bit based processor as othe infinix phone,with a clock speed of 1.3GHz; supported by a 2GB RAM or 3GB ROM. The device also come with inbuilt storage of 16GB but with option to expand via microSD tray(Max. 128GB). The rear camera is 13MP with dual color type LED flash. The front selfie camera has 8MP. The device also include fingerprint recognition hardware like most 2017 smartphone designs. The battery is a 4300mAh capacity type for Infinix Note 3 while Infinix Note 4 Pro is 4500mAh capacity type. Comparing the battery specs with other 2017 smartphone design releases, this sure is an “OK”. Am yet to see a 7000mAh type smartphone in 2017, that doesn’t mean there isn’t; but, we have, mostly seen 6080, 5000, 4050, 4000, 3500 all considered to be mammoth. The device boast to work for 2 days on full charge; With 5 minutes of charge, the device can take 6 hours on airplane mode.